Our 2019 CMNH Local Champion: Francisco! Chelsea Kennedy, Human Resources Manager at the Washington Retail Support Center with the Ace Hardware Corporation, was presented with the You Rock Award from the Ace Foundation for her diligent and record-setting work for Virginia Mason Memorial, Central Washington’s Children’s Miracle Network Hospital. The You Rock Award is an exclusive accolade from the Ace Foundation and only recognizes 12 individuals across the country each year. 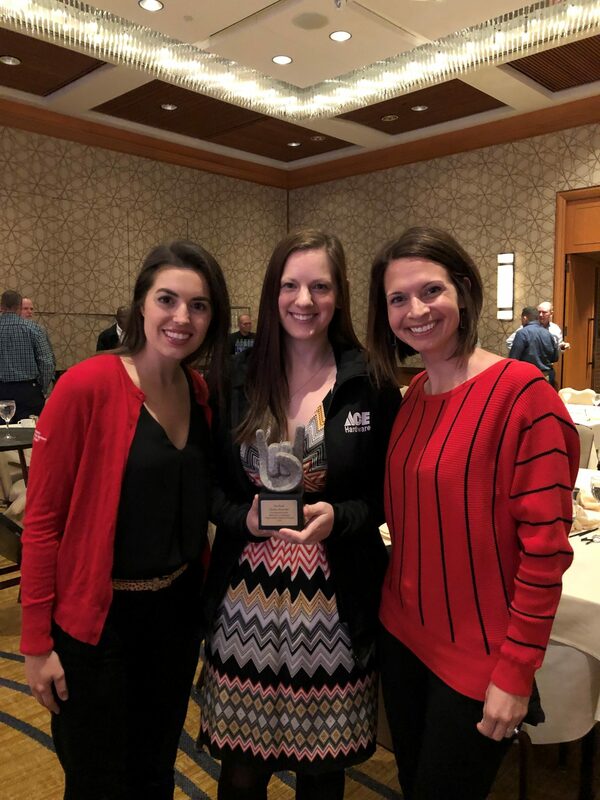 Chelsea earned the recognition due to her commitment and passion for raising funds and awareness through CMN Hospitals across the Ace Hardware Corporation and her community for kids cared for at Virginia Mason Memorial and Children’s Village. Along with the award, the Ace Foundation has made a $5,000 donation to the CMN Hospitals program at Virginia Mason Memorial in Chelsea’s honor. Join us in recognizing and celebrating Chelsea for her hard work and the prestigious honor from the Ace Foundation. Chelsea, you rock! Previous post: Our Local Credit Unions Really are For Kids!